“Freestyle is improvisation, it’s off the top of your brain, it’s coming up with something exactly on the spot,” says Kosha Dillz, speaking to individuals who aren’t too familiar with Hip-Hop culture and many do not speak much English. Kosha Dillz remembers always wanting to win growing up and he had a habit or maybe it was the luck that was handed to him to be second and third place, never first. He also had a knack as he got older to get in trouble with the law from getting involved with selling and abusing drugs. What changed his life was freestyling. He would feel a natural high from battle rapping which eventually lead him to freestyling at his events. Kosha figured that if he was being rejected for his songs but was receiving praise for freestyling. 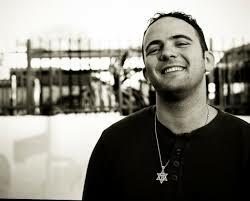 In ’09, Kosha Dillz was in Portland, OR performing with other emcees and freestyled to The RZA backstage. This was his introduction to The RZA. Kosha runs into The RZA at Rock The Bells by happen-stance and they decide to record a song together. Next, The RZA invites Kosha to the B.E.T. (Black Entertainment Television) Awards and he freestyles to Hebrew and Spanish. “Freestyle is a way of life,” Kosha exclaims. In ’12 Kosha makes an album called, “Beverly Dillz” with a single entitled, “Cellular Phone” that has a catchy chorus and happy-go-lucky rhymes. The chorus itself was recorded without prior memorization, somewhat of a freestyle. After the release, Kosha had been working with The RZA and touring with Matisyahu, he received a call from a friend who had some big news. That news ended up being Kosha Dillz’ song, “Cellular Phone” being used for a Budweiser commercial for The Superbowl this year. So Kosha ends up making “tons of money,” he proclaims. Towards the end of his speech, Kosha brings up his experience attempting to attend the GRAMMYS this year and was not allowed because there was something wrong with his ticket. So he stayed outside freestyling, making thousands and thousands of dollars. “Freestyle saved my life,” Kosha finalizes.